Learn How To Make Aloo Gobi Sabji | Dhaba Style Dry Aloo Gobi Sabji Recipe Video with easy and quick video tutorial. 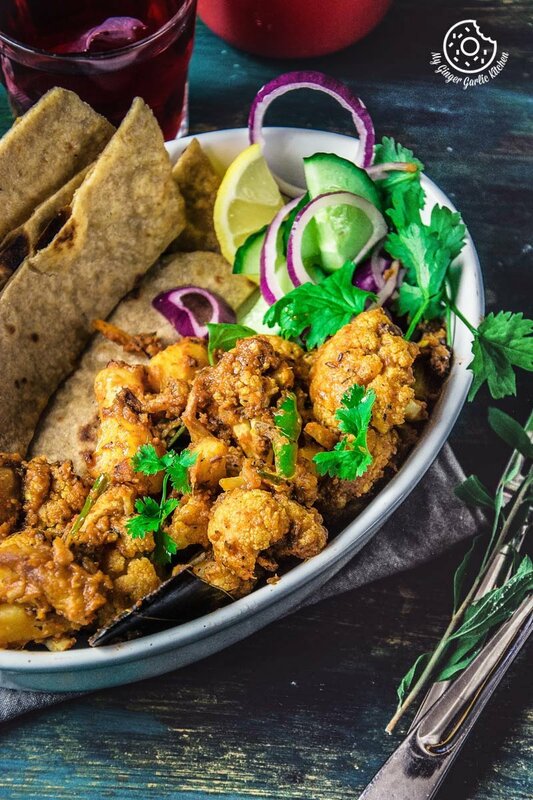 This hearty and flavor-packed cauliflower and potato dish (Aloo Gobi) is one of the most beloved and widely eaten vegetarian side dishes in every part of India. Yes, in every part of India. 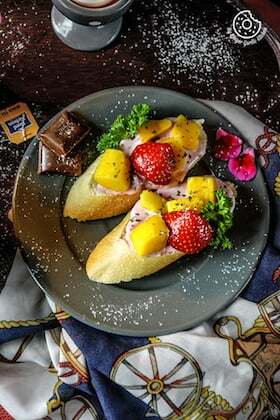 Alright, let’s talk about today’s heavenly recipe without further delay. It’s Dhaba Style Dry Aloo Gobi. This basic vegetable curry is so satisfying, so comforting and just the best. Plus, this aloo gobi is vegan too. 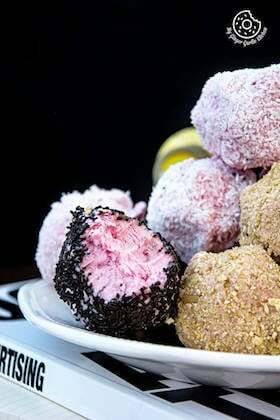 All I can say is that this recipe is definitely a keeper. Aloo Gobi is one of such dishes which can be made in a hundred ways. So, there is not a particular single recipe for making any ‘aloo gobi’. I must say there are so many ways of making this humble dish. I can assure you one thing that, whenever you eat this ‘potato & cauliflower’ combination in any spicy recipe, it would forever come out astounding. There is something about this pleasant combo of ‘aloo & gobi’. As you now know that there are myriad of ways of cooking this dish, so today I preferred to share it the way it is served at ‘Dhabas’ which are roadside eateries in India. I just LOVE all Dhaba style food. They somehow feel raw. Dhaba (roadside eateries) style food is very popular in the Northern part of the India. I have always adored the dhaba style food because it is prepared wholesome and they always cook food the traditional way. This traditional style cooking is usually missing in restaurant style food. Talking about the Dhaba style food, I just recalled that I have also shared an incredible Dhaba style recipe earlier — the mighty ‘Malai Kofta’. 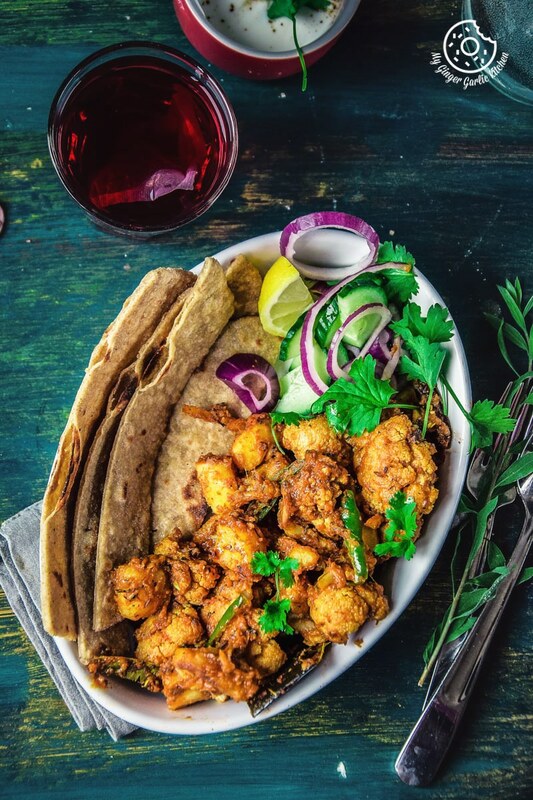 Coming to today’s Aloo Gobi, this very simple and easy dhaba style aloo gobi is one of my favorite ways to eat this dish. 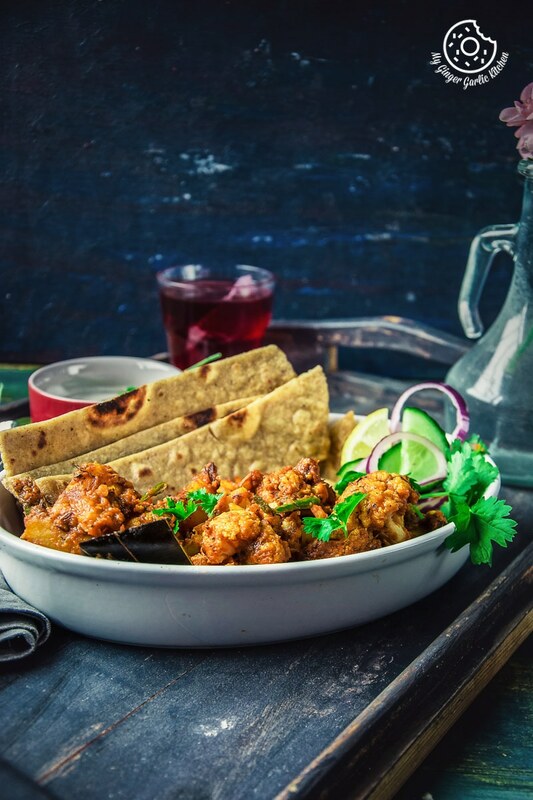 My other favorite version of aloo gobi is ‘Achaari aloo gobi’, which is a dry sabzi, so it goes so well with parathas, chapati as a side dish. 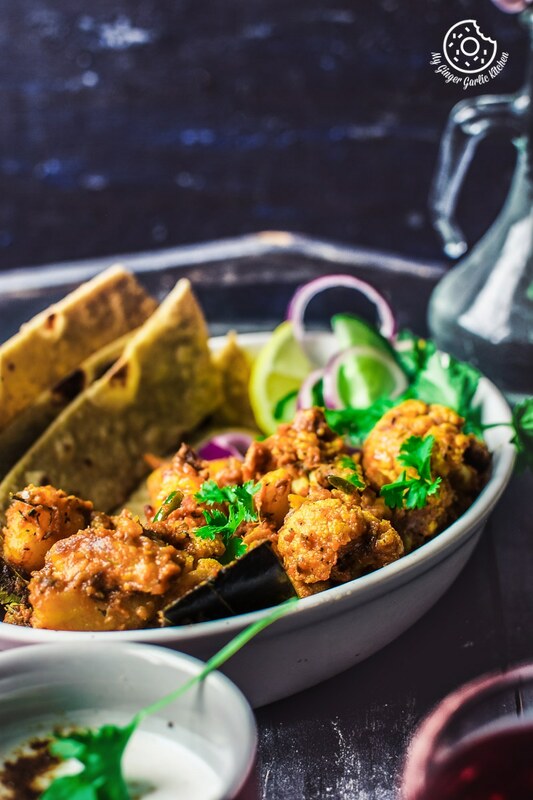 This delightful Indian dish, the ‘Dhaba Style Dry Aloo Gobi Sabji’ is a dry version of the curry. Aloo aka potatoes are the key ingredient of this dish. Sautéeing: In this recipe, potatoes and cauliflower florets are sautéed in the little oil before adding to the onion tomato masala. Sautéeing adds both richness and exoticness to this dish, and the result is that they are not so greasy, yet so flavorful. Cutting and sizing: For this recipe, I would recommend cutting the florets slightly bigger than the potatoes. 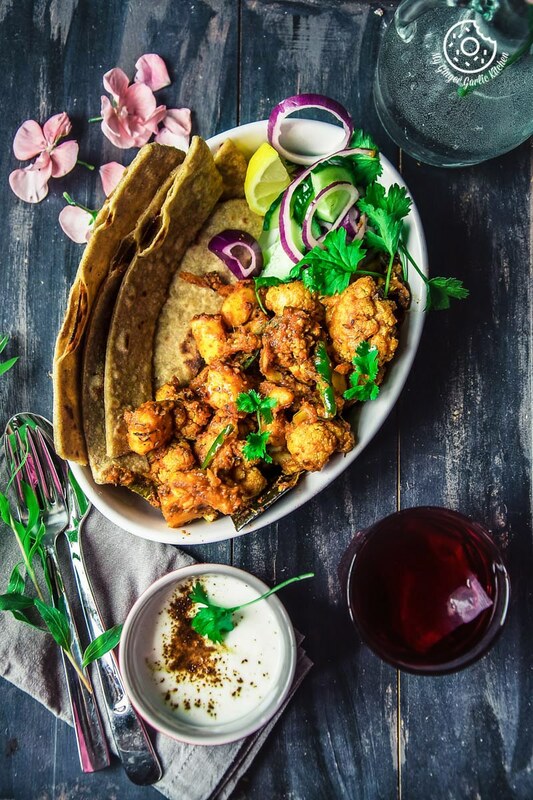 The reason is that cauliflower florets will take lesser time in cooking, and if you cut them both in the same size, there are higher chances that florets would go mushy and we certainly don’t want that. 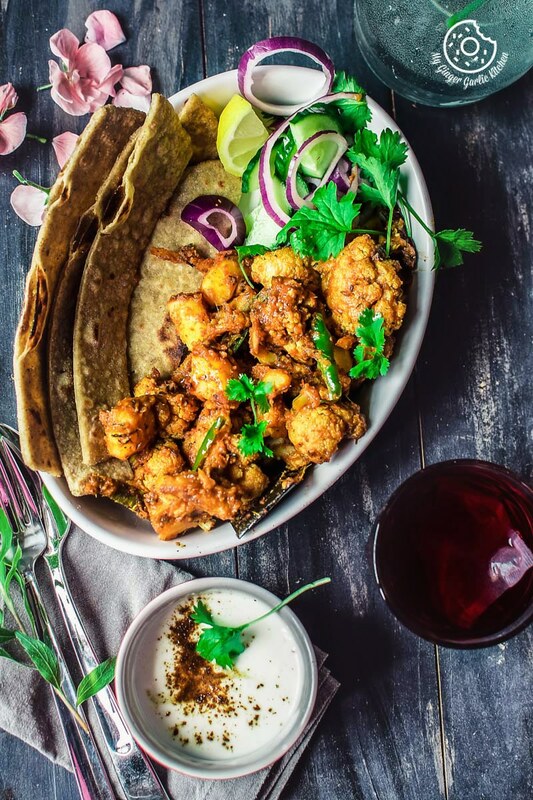 Making it flavorful: This Dhaba Style Aloo Gobi is a moderately dry dish, but some kind of liquid is needed for cooking the masala and sautéed vegetables. The liquid we are using here is the tomato puree and a little water. Tomato puree: I have used tomato puree for this recipe because it gives a great color. But traditionally, freshly chopped tomatoes are added to this dish. Feel free to use any kind of tomatoes. Cooking for taste: Another best thing to bring out the delicious taste is to cook the onion tomato masala until the oil rises. That is the ultimate sign that spices and tomatoes have merged well. I have made an instant onion, ginger and garlic paste just before cooking for this dish. You can also use the separate pastes. Conclusion: This is a dry version and tastes awesome with roti, paratha, and some kind or raita. 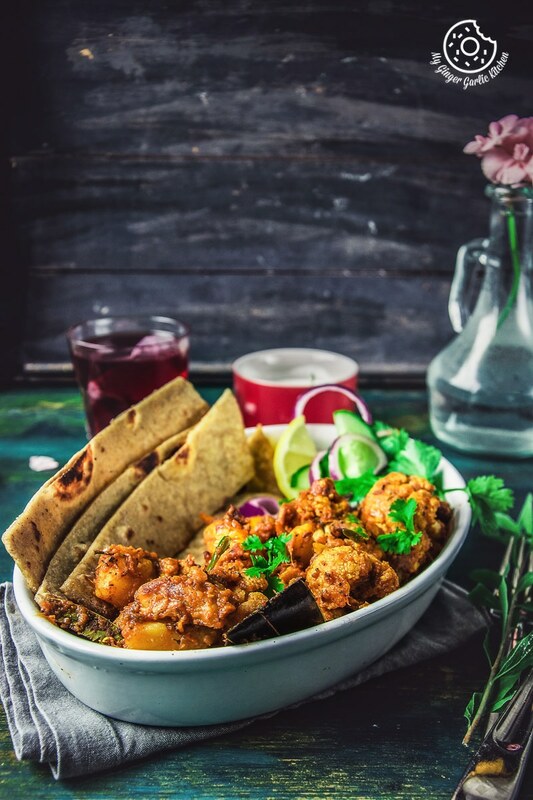 Do try it once, I know you will definitely adore this Dhaba Style Dry Aloo Gobi Sabji. How To Make Aloo Gobi Sabji | Dhaba Style Dry Aloo Gobi Sabji Recipe. 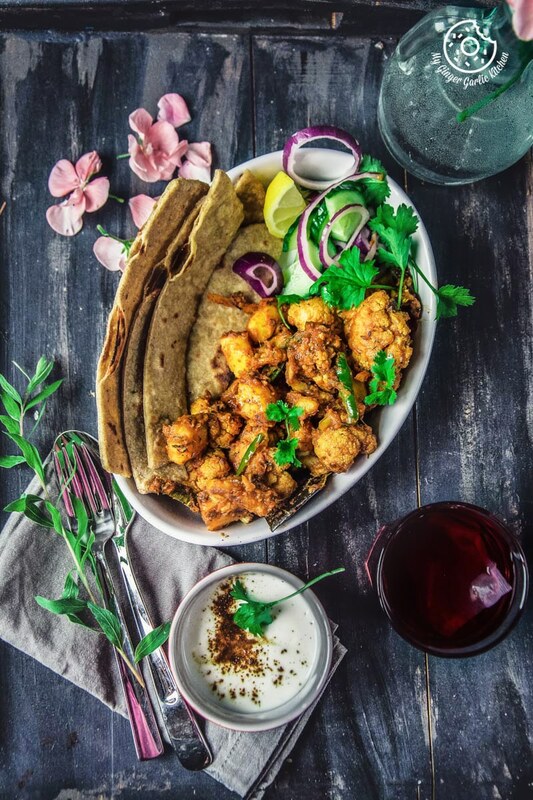 Dhaba Style Dry Aloo Gobi Sabji | How To Make Aloo Gobi — This hearty and flavor-packed cauliflower and potato dish is one of the most beloved and widely eaten vegetarian side dishes in every part of India. Yes, in every part of India. 1. Soak cauliflower florets in hot water for 10 minutes to remove any worms hidden inside the floret. Drain and set aside. 2. Soak diced potatoes in water for 10 mins. 3. Heat 2-3 tbsp oil in a pan. 4. Add cauliflower florets and diced potatoes. 5. Toss well and let them sauté for 5 mins. 8. Meanwhile, add onions, garlic, and ginger to a blender along with 3 tbsp water. 9. Blend to make a smooth paste. Set it aside. 10. Transfer cauliflower sautéed veggies to a plate or bowl. Set it aside. 11. Heat 2 tbsp oil in a pan. 12. Add cumin seeds, bay leaf, black cardamom, cloves, dried red chilies, and star anise. 13. Allow seeds to crackle. 14. Add kasuri methi and mix well. Let it fry for 1 minute. 15. Add onion, ginger-garlic paste and mix well. 16. Sauté for 5-7 minutes or till onion paste turns golden. 17. Add tomato puree and mix well. Cook for a minute. 18. Add ginger juliennes, and sliced green chilies. 19. Mix well and let it cook for 2 mins. 20. Add red chili powder, turmeric Powder, Kashmiri lal mirch powder, coriander powder, garam masala powder, and salt. 21. Let it cook for 5 minutes or till the oil start to separating from the sides of the masala. 22. Add 1/4 cup water and mix well. 23. Let it cook for 5 minutes. 24. Add roasted aloo and gobi, and toss well. 25. Add 3-4 tbsp water and gently toss again. 26. Cook for 5 more minutes. 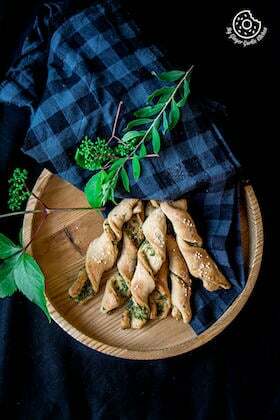 27. turn off the heat and garnish with cilantro leaves. 28. 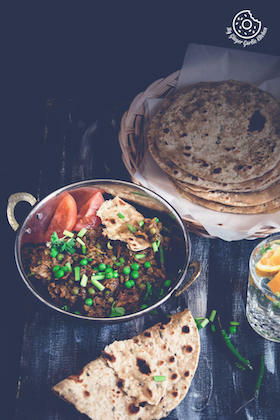 Serve hot with roti, paratha, poori, or naan.